In this tutorial, you will learn to dual boot Kali Linux and windows 10. 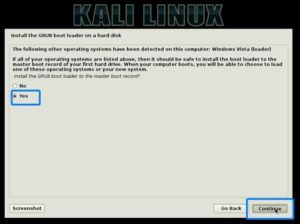 Dual booting Windows 10 and Kali Linux is a simple process if you do things accordingly, this tutorial will cover every step needed to install Kali Linux on Windows 10 as a dual boot. Why do you need to dual boot Windows 10 and Kali Linux? 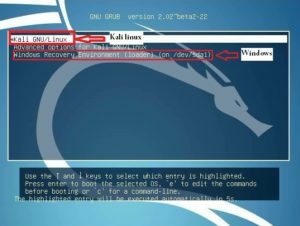 As a beginner, you can use Kali Linux with a virtual machine or by making a live Pendrive without installing it on your physical computer, but if you want to get the full power of Kali Linux then install it on your System as a dual boot with your favorite operating system like Windows 10/8.1/7. You can use this tutorial to dual boot Kali Linux with Windows 10/8.1/7. You must do it carefully, otherwise, you will lose all your hard disk data. Also Read: How to install Kali Linux on windows 10 by using Virtual box. Follow these simple steps in order to dual boot Windows 10 and Kali Linux without any errors and not losing any of your data. This tutorial will work with every version including Kali Linux v2017.1. Things needed to dual boot Windows 10 and Kali Linux. Windows 10 or any other version of Windows i.e 10/8.1/7 installed. 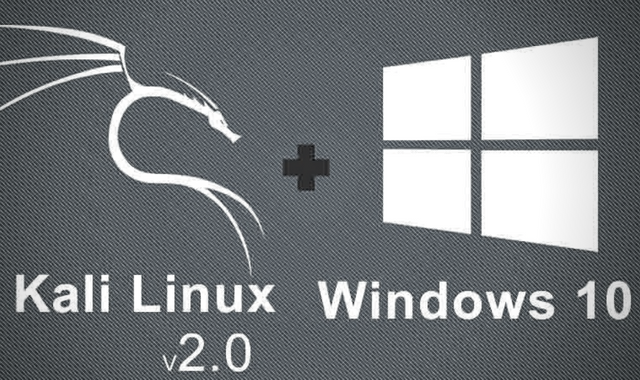 Let’s begin to install Kali Linux on Windows 10 as a dual boot. 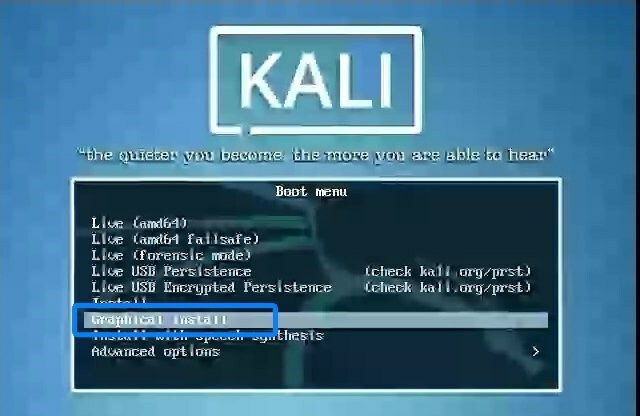 Download Kali Linux → from here. Choose between 32 bit and 64 bit according to your System types. To find out your system type right click on This PC(My Computer in the older version of windows) and choose Properties you will see your system type there eighter 64 bit or 32 bit. First one is you USB. Select the Kali linux ISO by clicking the CD icon. Press the Start button new popup will open just click on OK. It will give you a warning message, saying that all data on the USB will be erased. So far you have downloaded Kali Linux iso and created a bootable USB by using the iso. 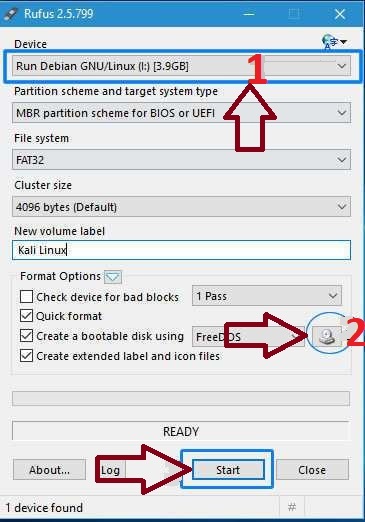 Now you need to create a separate partition to install Kali Linux. Go to Disk management setting by right clicking on This Pc icon and choose Manage, or just type diskmgmt.msc on CMD and press Enter to open Disk management setting. Choose a partition which has free space right-click on it and choose Shrink volume. Allocate minimum 15 GB(15000 MB) I recommend 30 GB(30000 MB) for the Kali Linux partition. Step 4: Change BIOS settings and choose Graphical Install. Go to your BIOS setting and disable Secure Boot and Fast Boot options. 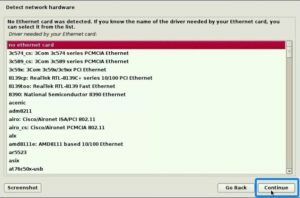 Restart your Pc and choose boot from USB. You will see Kali Linux installation options, Choose Graphical Install. Select the language to be used and press Continue. Step 7: Choose Keyboard layout. 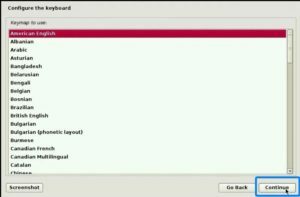 Choose American English as a keyboard layout. You can choose your own language but English is mostly is used. In the domain name field, don’t type anything, leave empty and press enter. Choose a password for the root user and press continue. This is the most important part, most users make mistake in this step and wipe out their data. Choose partitioning method as Manual and click Continue. Select the partition you created earlier using the disk management settings. Be careful don’t select any other partition. Choose Delete the Partition and click Continue. Now you will see Free space select it and press continue. Next, choose the option that is recommended for new users Which is the first one and press Continue. Select the option Finish Partitioning and Write Changes to Disk and press Continue. It will ask for permission to write changes on the disk. Choose Yes and press Continue. During the installation, it will ask for network mirror. Choose No and press continue. After some time it will ask for installing GRUB boot loader, choose Yes and press Continue. Carefully Choose your hard disk which is the second option. Only choose your hard disk to install GRUB. Otherwise, you won’t be able to use both the operating systems. After successful installation, you will see this screen. Remove the USB, press Continue and restart your PC. This is the start up screen, you can choose between kali Linux and your Windows OS. If you face any issue during the installation process, feel free to ask in the comment section. Tried this but it has not installed Grub correctly. When I reboot after installation, I get my old Grub. I have tried Rescue Mode and that says ‘The installed system appears to use a separate /boot/efi partition’. I’m then given 5 options and I chose to ‘reinstall Grub’. Done complete reinstall but I seem to need some tweaking. Currently, Grub is on /sda1. Any ideas?